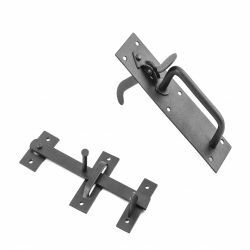 Wrought iron latches designed for gates as well as cabinets and interior or exterior doors, are hand crafted by blacksmiths using traditional methods. 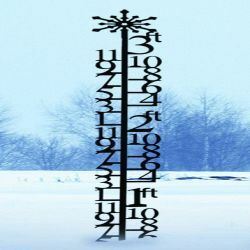 Featuring solid construction and beautiful design there are many styles available. 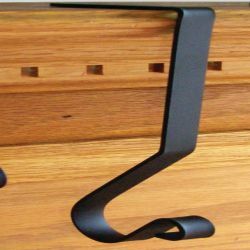 They can add authentic period style to your home, such as Colonial, Country, Mission or Victorian. 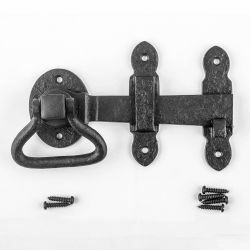 Wrought Iron latches are useful as well as decorative, offering you security and add a traditional feel to your home. 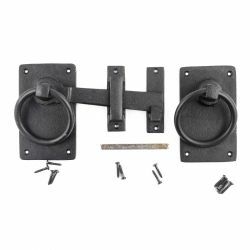 Wrought Iron thumb latch sets can be used to enhance your interior doors, armoires, or can be added to an exterior gate for an inviting entrance to your yard. They are available in floral, heart, spade, fleur-de-lis, twisted ring, as well as authentic colonial-styles such as Norfolk and Suffolk. 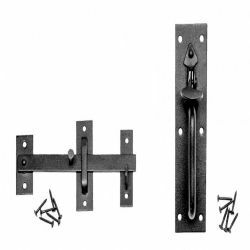 Wrought Iron cabinet and cupboard door latches are perfect for updating your new or existing kitchen or bathroom cabinetry. Vertical and horizontal slide bolts and cupboard latches are also available. 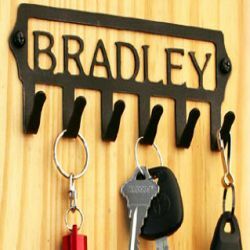 You will also find styles that are fabricated to be heavy-duty, for added strength and security.